Habitat River, Lake, Pond, etc. Range in Japan Escaping turtles are sometimes reported. An alligator snapper laying eggs was captured in Shinobazunoike Pond, Tokyo. Impact Potentially: predation on native aquatic species; competition with native turtles; biting human. 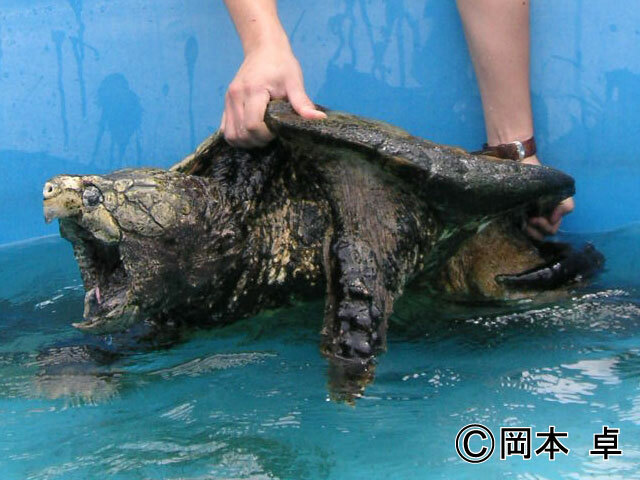 Regulation in Japan Keeping this species without permission is prohibited in Japan. CITES Appendix III. Keeping this species is prohibited in Shiga Pref. Release of this species is prohibited in Aichi Pref.